We ran focus groups in preparation for delivering this project. The young people who were engaged in this process suggested methods we could use to deliver the work. We agreed that it was important to take a multi-media approach. This would allow participants to engage in, what could be a very sensitive and sombre topic, in a creative way. It also provided ample opportunity for participants to interpret the material in a personal way and learn new skills. 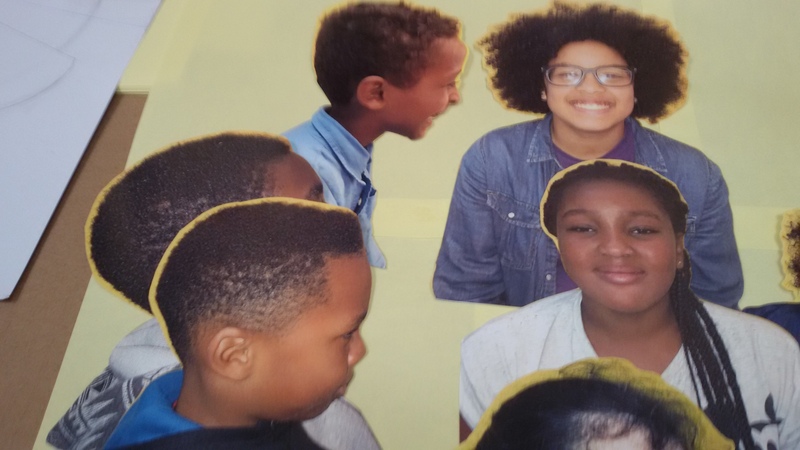 We ran 10-week programmes with Flashpoint Centre Play, Masbro Youth Centre, Unity Centre and Sion Manning School, day events at UCL Academy and Guildhall and a mini session at Little Wormwood Scrubs. 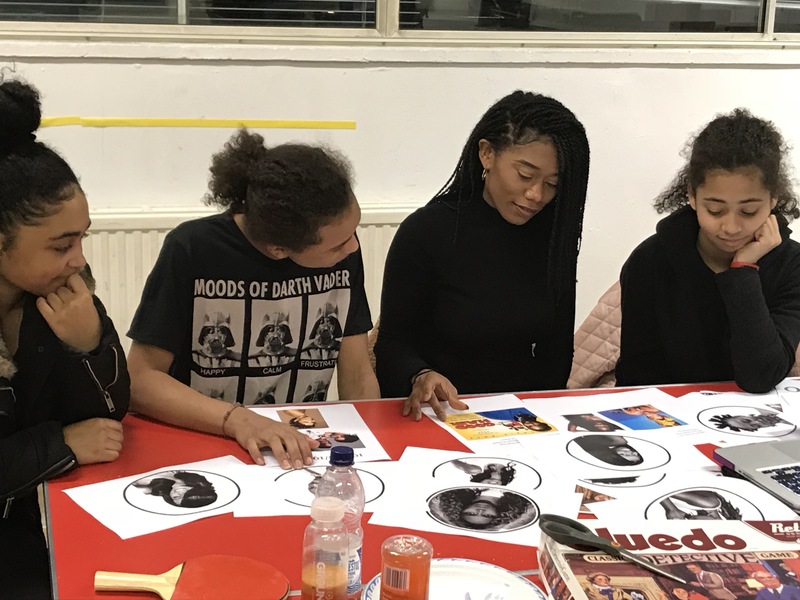 Groups involved in the longer programme began the process by discussing notions of beauty in the present day – tutors wanted to know how they defined the term beautiful and what they felt constituted beauty in an individual. 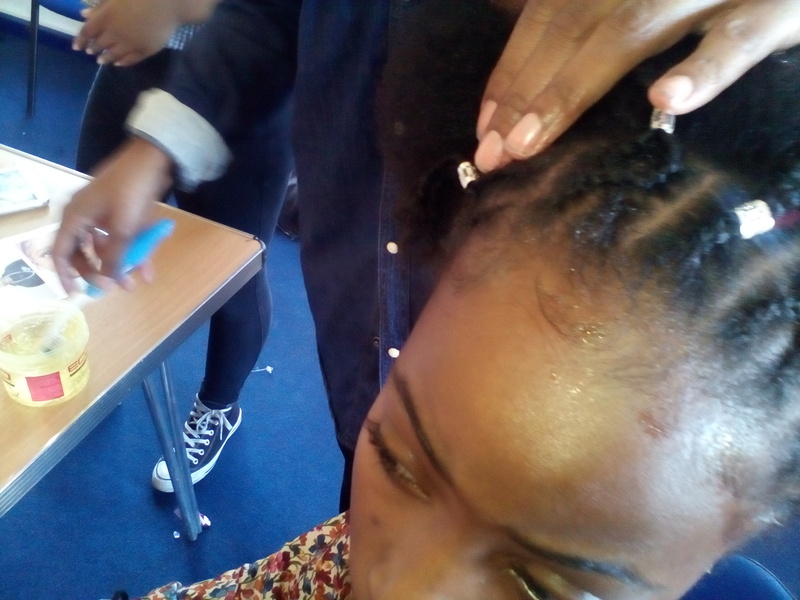 Participants then made connections with current day perceptions of black hair and how it has been perceived historically.  This involved looking at representations of black people over different periods in history in Europe with a focus on the 18th and 19th centuries to the present day. We discussed the objectification of people of African origin at that time and how this process fed into the mainstream ideologies, which were constructed to reinforce difference and inferiority between and within different racial groups. 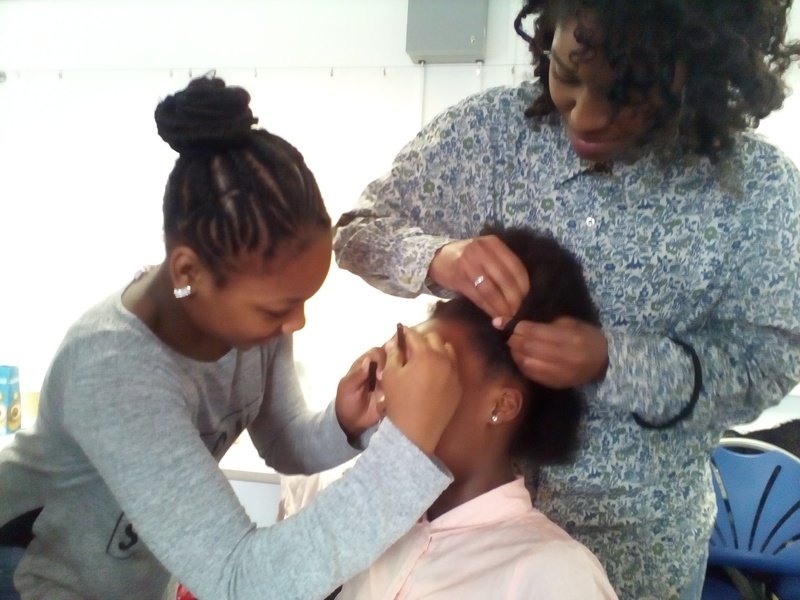 Group members were then invited to create their own counter-narratives in celebration of black hair. Students from Sion Manning and UCL were introduced to a range of artists including Lina Iris Viktor and Carol Rossetti. Both artists use their work to explore, challenge and celebrate the experiences of women from around the world. 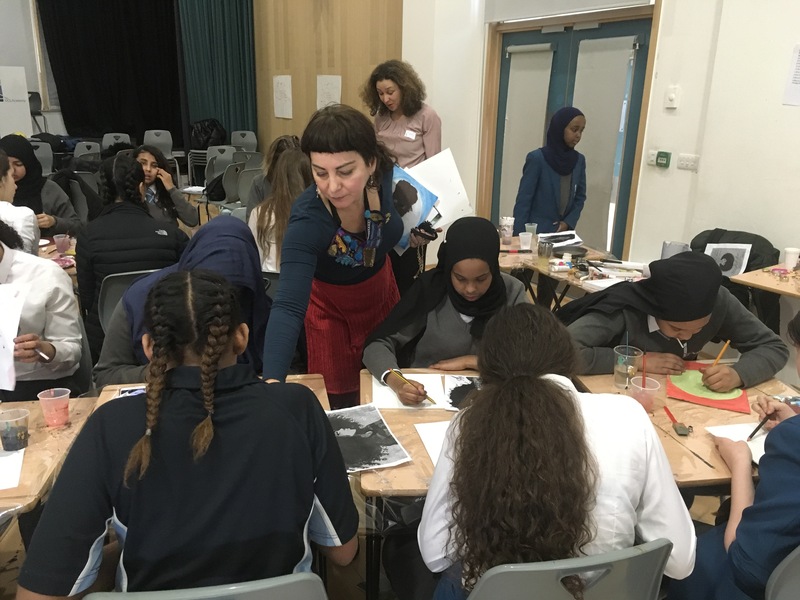 Participants learned about the artists and how art can be used as a vehicle to challenge attitudes and behaviour and raise awareness about social issues. Once they harnessed the basic tenets of these artist’s work they used these influences to create their own pieces. 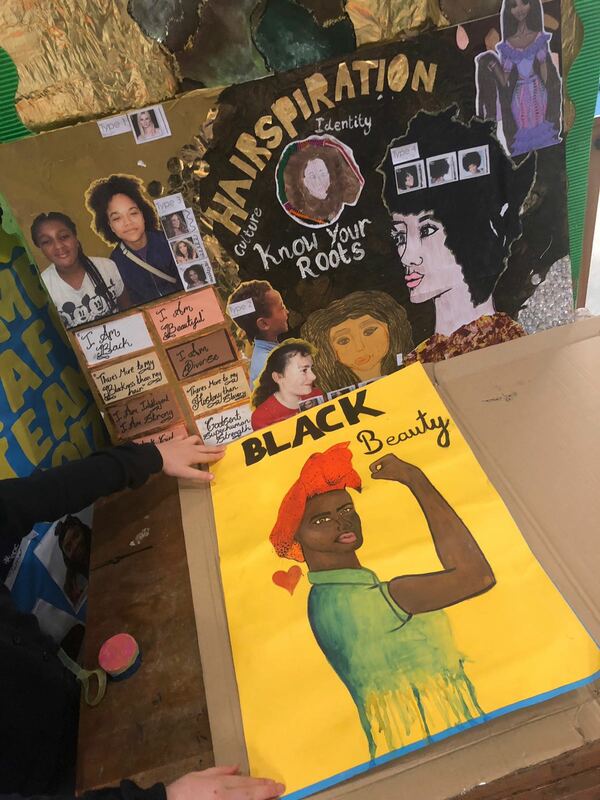 Students from both schools produced collages and paintings as part of a campaign to profile the racializing of black hair by offering counter-statements. 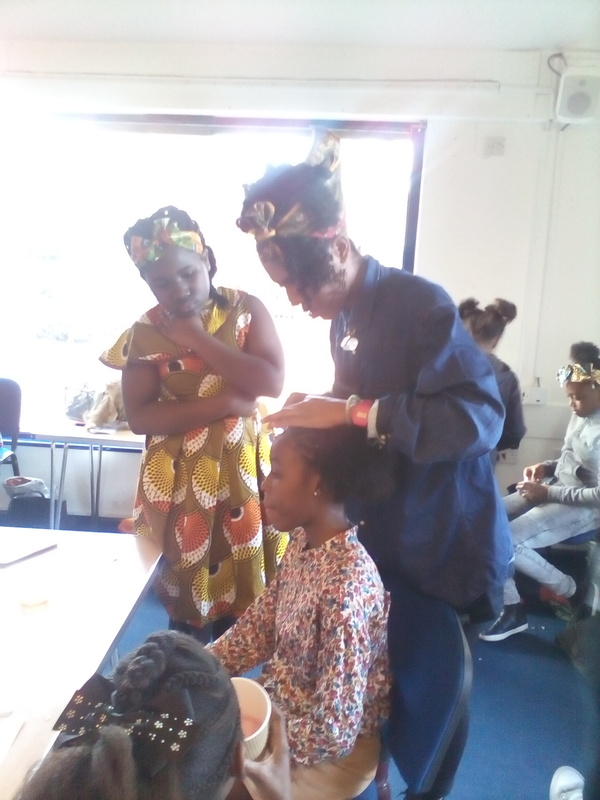 Members of Masbro Youth Centre produced self-portraits, videos and a timeline reflecting the history and traditions of African hair dating back to the 1400s. 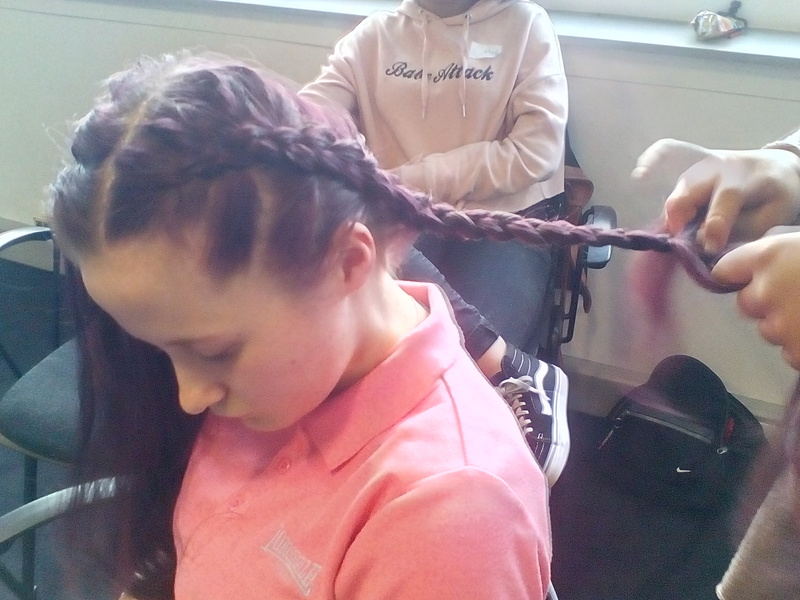 Members of The Unity Centre/Youth Action Alliance shared skills in hair plaiting and showcased them in photoshoots. We chose art as the main vehicle for exploration because one of its many virtues is that it elicits a visceral as well as intellectual response to social enquiry, and research suggests that ‘black youth inherit a tradition of weaving popular arts and street cultures into political statements’ (Blair, 2009). The process was also used as a stimulus for peer education and for broader discussions amongst diverse ethnic groups of the importance to explore identity and Know Your Roots.